We absolutely LOVE the Little School of Waldwick. I recommend this preschool to everyone I know. I have sent both of my children there and can not give everyone there enough praise. They are so loving and caring my children love going to school everyday and come home bragging about all of the wonderful things they have learned. My daughter went onto kindergarten with a huge advantage and it’s all thanks to The Little School. I know see my son following in her footsteps. 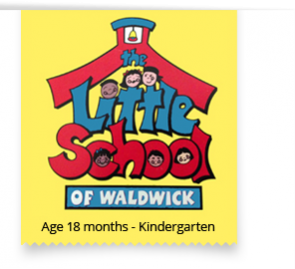 The little School of Waldwick is the best preschool in the area. My children thrived there and were more than ready for kindergarten. Miss Maria and her staff provide such a warm and loving learning environment. The hours are flexible and the curriculum is varied and fun for the kids.I can’t imagine going anywhere else. The Little School of Waldwick provides a terrific education to young children. The director, Miss Maria is so involved with the education of each child. My son learned so much in the 2 year she was there. the teachers are wonderful too.